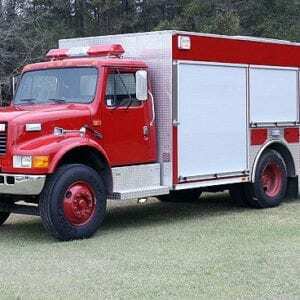 1991 Sutphen 4 door enclosed cab with seating for 6 with 5 SCBA seats with air conditioning is powered by a Detroit Diesel 445 HP and Allison Automatic Transmission. 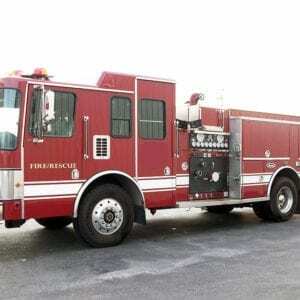 Sutphen stainless steel body with 100′ Mid Mount Platform with an aerial waterway. The unit has breathing air to the platform the aerial was recently tested in certified in 2018. The truck has just 32,270 miles on it and recently had a new swivel installed for the aerial. 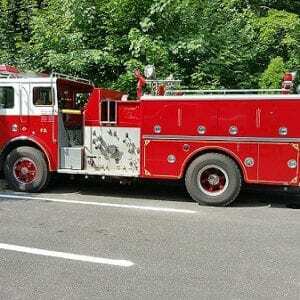 It has a full NFPA warning light and package installed on the unit. The unit is available immediately please contact our office for more details or to schedule an inspection of the unit at 717-354-8106.